Superior Septic takes your septic repair in Marysville seriously. 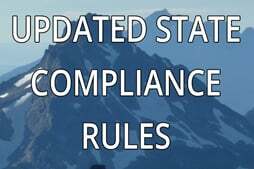 More than that, we take the state mandate that septic systems should be inspected and possibly pumped every three to five years seriously, as well. It takes only a few minutes viewing accounts of septic system repairs that have been posted on YouTube to see the amount of difficulty that septic repairs can create. 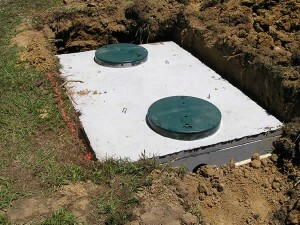 A properly installed septic tank system includes a pipe from the home to a septic tank – usually one that has separate chambers to ensure that solid waste is trapped in the first chamber. Light waste, such as paper and grease float to the top of the tank, creating scum. The liquid in between usually drains through a hole from the first tank into the second tank. The tank is sealed so that anaerobic bacteria – that is bacteria that does not need oxygen digests the solids, reducing the resultant mass. The liquid flows through another set of perforated pipes into a leach field that should include a gravel filter area. Several of the YouTube videos made it clear that the leach field pipes were not properly installed. Indeed, in one instance, it was easy to see it from the owners video, thanks to a line of grass that was greener than the surrounding area – something that should not happen in a properly installed septic arrangement. Another owner demonstrated an exit pipe from the house that actually had to travel uphill in order to gain access to the septic tank. Superior Septic is always glad to schedule an inspection and to help with your septic repair in Marysville. Call (425)905-2485 if you suspect that your septic system needs repairs, our technicians will be glad to take a look at it and to create an estimate.